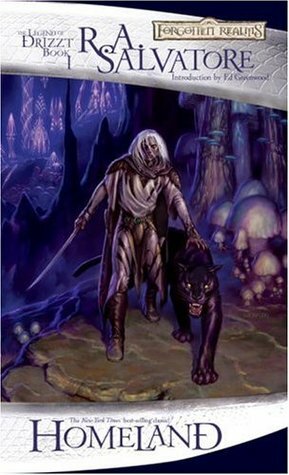 Recently I came across a new book series called the Legend of Drizzt. While this series is not exactly new, it was new to me. I stumbled across the first book in a Barnes and Noble back home in San Diego. It was written by R.A. Salvatore, which is a name I recognized, and it was in the same area as the Dungeons and Dragons books which I was already looking at. I figured I needed some new books to read and picked it up. This turned out to be an amazing decision. I never ended up reading it until almost a year or two later, but when I did I immediately ordered quite a few of the next books. Now for a spoiler-free synopsis.